The world has many different types of weather conditions. Some of them make it harder to drive than others. Fortunately, we at Sheehy Ford of Gaithersburg have noticed some vehicles that make it easier to drive in various types of weather conditions. One such vehicle is the Ford Escape SUV, which actually helps you in various aspects of driving. 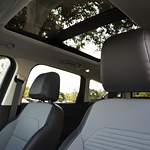 One of the features of the new Escape is that it actually helps make adjustments with the weather. It can require some extra effort to drive when it comes to volatile weather. One of the features that have been included is the rain sensing windshield, which automatically turns on when it starts raining. Another feature of the vehicle works well with the different times of the day. There are high-beams that automatically turn on and off at night as you are driving in different environments. The new Ford Escape saves a lot of work for the driver.